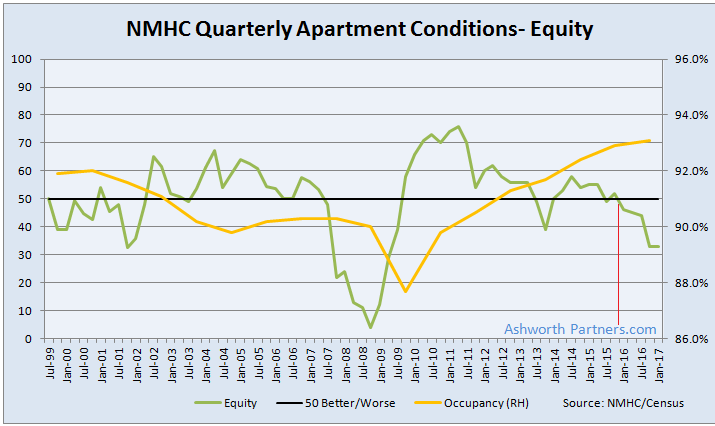 The average of the NMHC’s Apartment Conditions fell to 24 from 35 with all series but Equity Financing (holding at 33) falling from last quarter. Both Market Tightness and Sales Volume came in at 25 (down from 28 and 35 respectively) while the more volatile Debt Financing fell to 14 from 38 last fall. 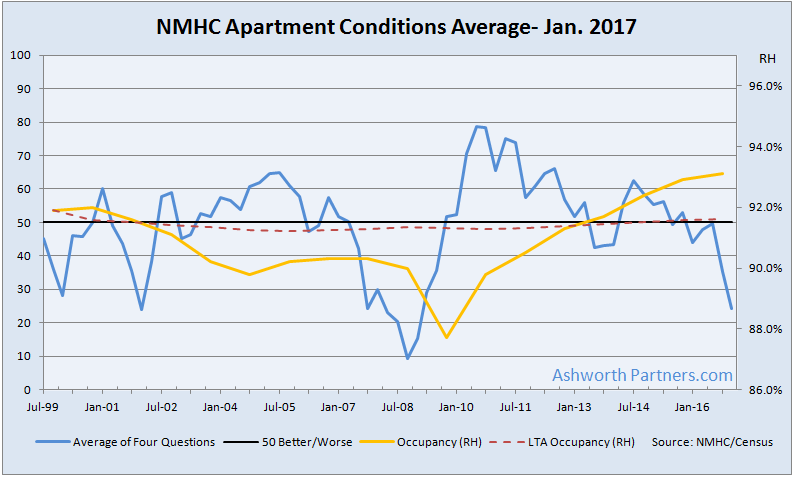 My thoughts: It does seem as though the apartment cycle on a national basis is starting to roll over but there are also many markets still in the growth phase; particularly those with job and population growth. With traditional lenders and equity sources pulling back this may provide an opportunity for those with a finer tuned sense of their local market who can access non-traditional sources of debt and equity (ask me how). 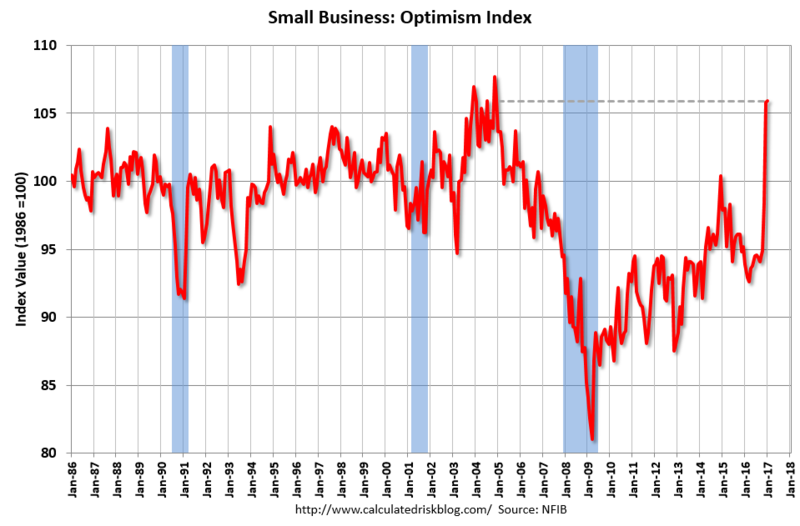 My other thought is that if business optimism turns out to be unwarranted or even just premature there may be better acquisition opportunities on the horizon.